My mother in law taught me how to make rolls when I was first married over 33 years ago. 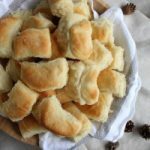 This recipe, My Mother in Law’s Rolls (Doreen’s Rolls), has been in my husbands family for years and is one of our kids’ favorite! It is one of my favorite recipes because it calls for dried milk, which I store for emergencies. Doreen’s Rolls have become legendary among our family and friends. If you’ve never made homemade rolls, I highly suggest this recipe, the dough is very soft and pliable and so easy to handle! They are the perfect shape for stuffing a bit of turkey and cranberry sauce inside for the best after Thanksgiving snack. Sprinkle yeast over 1/2 cup warm water and 1 teaspoon sugar in large bowl or in the bowl of a stand mixer. Let yeast bubble and rise for about 5 minutes. Whisk eggs, vegetable oil, additional 1 cup warm water and sugar into bowl with yeast mixture. Whisk in powdered milk. Mix 4 cups of flour and one teaspoon salt into the liquid mixture above until dough/batter is smooth. The mixture will be sticky. Add additional flour, 1/2 cup at a time until dough is to the barely not-sticky consistency. Usually this will total about 5-6 cups flour. Scrape down the sides of the bowl with a rubber spatula or flexible dough scraper, and spray the sides of the bowl with vegetable oil spray, such as PAM. Cover with plastic wrap or light towel. Set in warm place to rise for about 30-40 minutes. When ready to roll out, melt butter in a bowl and grease one to two cookie sheets or jelly roll pans. Set aside, close to where the rolls will be shaped. Flour a clean surface (about 1/3 cup flour) and dump the dough onto surface. Pat or roll the dough out to about 1/2 inch thick. Using a biscuit cutter or glass, cut the rolls, as close together as possible. Take the cut-out dough and dip half of one side of the dough into the melted butter. Fold the dough to form a Parker house roll shape or a half-moon, stretching the dough a bit, so it won't come unfolded during the second rise. Place the shaped dough onto the greased cookie sheet. 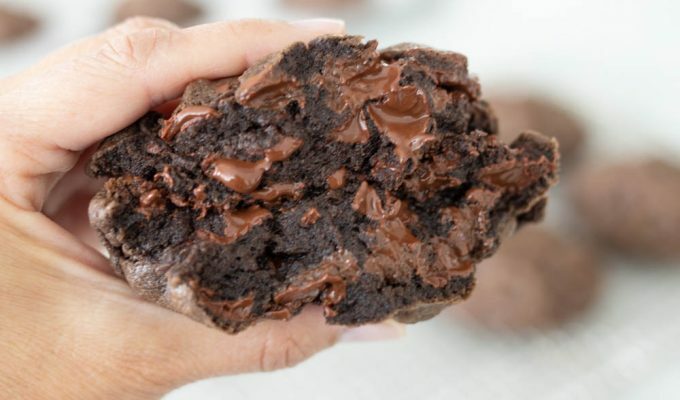 Repeat until all of the dough is shaped. let pan sit in warm place for about 30 minutes. Preheat oven to 350 degrees with rack in center of oven. Bake for about 12-15 minutes or until rolls are browned on bottom and top. I like to warm the bowl I am using to make rolls by running warm water over the outside of the bowl in the sink for a few seconds. Make sure to dry the bowl before using.The perfect temperature for water used with yeast is the same temperature you would use to bathe a baby! Not too warm, not too cold. If you remember this, you will not go wrong.Do not set the bowl you are using to make rolls on the counter top if it is stone of any type (including granite, quartz, marble). The stone naturally stays cold and will keep the rolls from rising properly.Heat a cup of water in the microwave for a minute. Remove cup. Then place a bowl of dough into the microwave to raise. The warmed water will have created a nice warm area for your dough to rise.You may place all of the rolls on one jelly roll size pan to bake, or you may space them farther apart on two cookie sheets or jelly roll pans.For make ahead, make the rolls to the shaping step. After the rolls are shaped and placed on the cookie sheets, cover with plastic wrap and place in freezer immediately. On the day of baking, remove the pans from the freezer about 4 hours before serving. Let the rolls thaw and raise in a warm kitchen, covered with a light kitchen towel. When rolls are almost double in size, place in hot oven and cook. Hi Si! If I'm using a standup mixer, should I use the whisk attachment until I add the flour and then switch to the dough hook attachment? Or do I use one of them for the whole process? Thanks! Question…1. The water amounts in the list on the recipe totals 1 1/2 c. (1/2 c. with the yeast and 1 c. additional warm water) yet in the instructions it says to "whisk additional 1 1/2 cups warm water" which is in addition to the 1/2 c. that is with the yeast. So is there to be 1 1/2 or 2 c. total in the recipe? Please clarify.